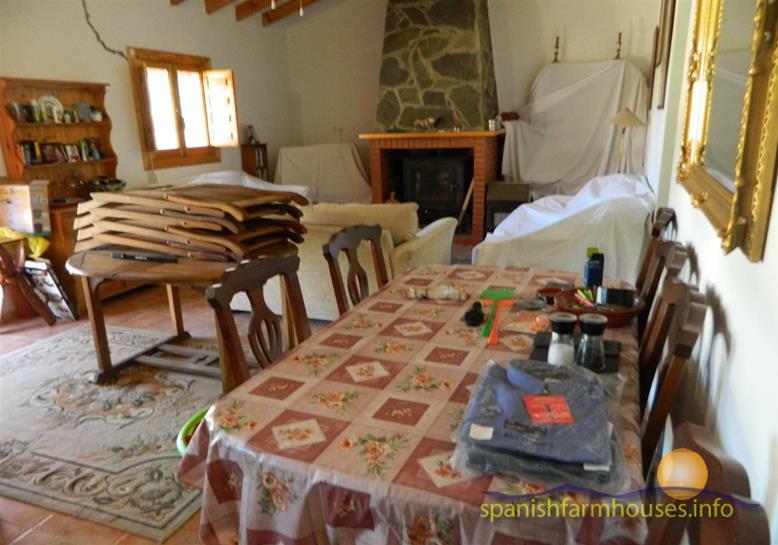 At the end of a quiet rambla is this lovely detached farmhouse. The setting is magnificent with the majestic mountain range of the Sierra de los Filabres rising up behind it with the Sanctuary of La Virgen de la Cabeza as a land mark at the very top. 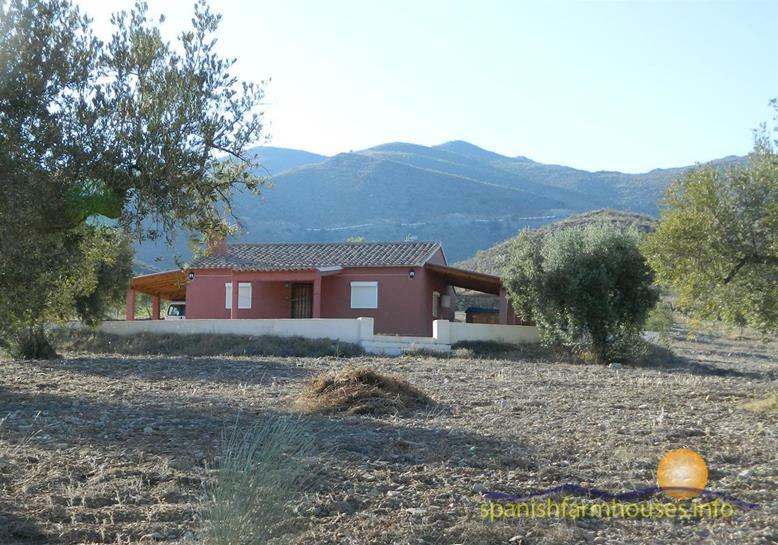 The house comes with an ideal plot of easily worked land with only a gentle slope which has been planted with olive trees which are now well mature. Around the house itself fruit there is a large gravel area bordered with fruit trees. The house itself has a lounge/ kitchen/ diner dominated by a wonderful fireplace, and high ceilings, it has three bedrooms and a good sized bathroom. Outside there are two covered terraces and a covered carport. Unusually for a remote property it has electricity connected, it also has its own well. Set in beautiful country surroundings the views and the tranquillity are hard to beat. The access road is via a dirt road up the valley of about 2km, but the road is well maintained. It is 10 minutes’ drive from Uleila del Campo, Almeria, Spain. Almeria, the airport and the beach are 50 minutes away.